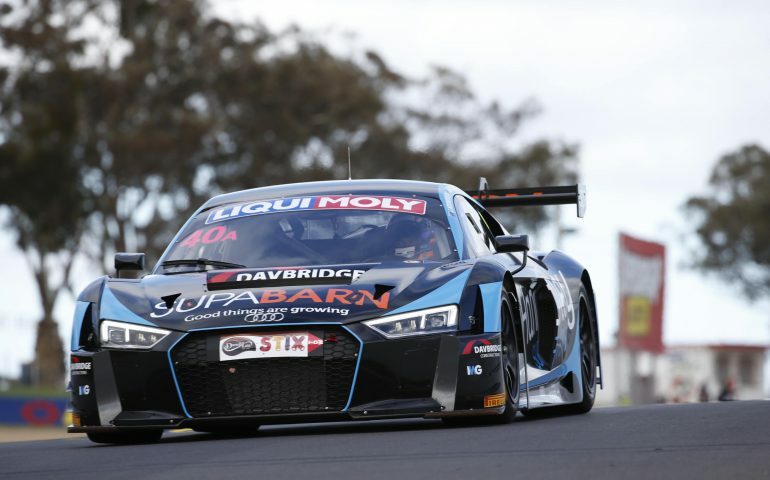 NEW ZEALAND V8 champion Simon Evans will contest this year’s Liqui-Moly Bathurst 12 Hour, joining Canberra brothers James & Theo Koundouris and Marcus Marshall in an Audi R8 LMS at this year’s event. Evans, who contested the 2015 Supercars Dunlop Series, will join the Pro-Am class Supabarn Supermarkets Audi entry in what will be his first major GT enduro start. The late deal was only finalised last week prior to the third round of the 2016-17 NZ V8 Championship – one that Evans currently leads in his Smeg Racing Commodore. “Any race at Bathurst is pretty special,” Evans told New Zealand motorsport site, www.velocitynews.co.nz. “If you look at the calibre of drivers at the 12 Hour, especially this year, it’s pretty phenomenal. To go there, experience some pretty special machinery at a pretty special place is going to be pretty — well — special. “It only came together this week, after Thursday night. So really late, two weeks out from the event,” he said. With one Development Series start at the Mountain to his credit, Evans says he’s looking forward to sampling the circuit in some GT3 machinery. “[The Audi] is quite a different beast. Obviously I’ve only driven the V8 around there — that moved around quite a bit, while the GT3 car has a lot more aero and driver aids. So I’m expecting it to be a lot more stable if the set-up’s within the window. “I’m just going over there to develop myself as a driver, and hopefully also finish the race. Click here to read the original story at Velocity.co.nz.